In many parts of Africa, people with disabilities are seen as a burden: unable to go to school, earn a living or support themselves. Often they are never given the opportunity to participate equally in society. 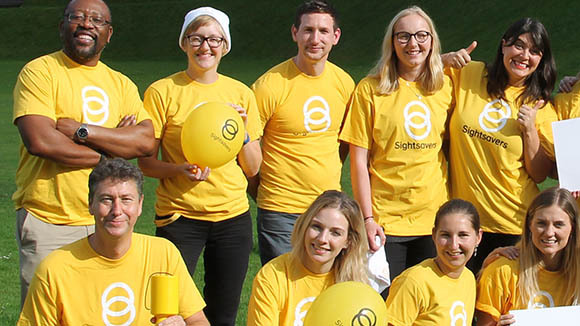 But Sightsavers aims to change this. 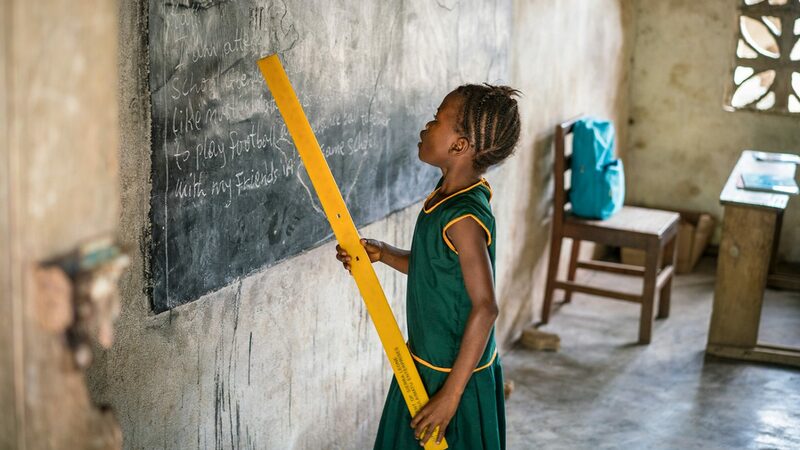 Our Education for All project in Sierra Leone, funded by the European Union, is changing lives by enabling children with disabilities to learn alongside their peers. The project provides specialist training for teachers and appoints disability champions to spread the positive message. 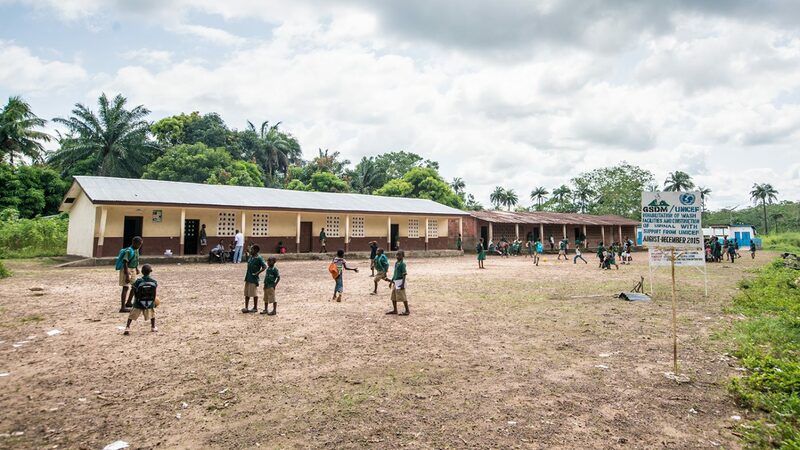 Sightsavers’ Kate McCoy travelled to the Bombali district in northern Sierra Leone to see how the project is helping children with disabilities to smash stereotypes. Here is her story. 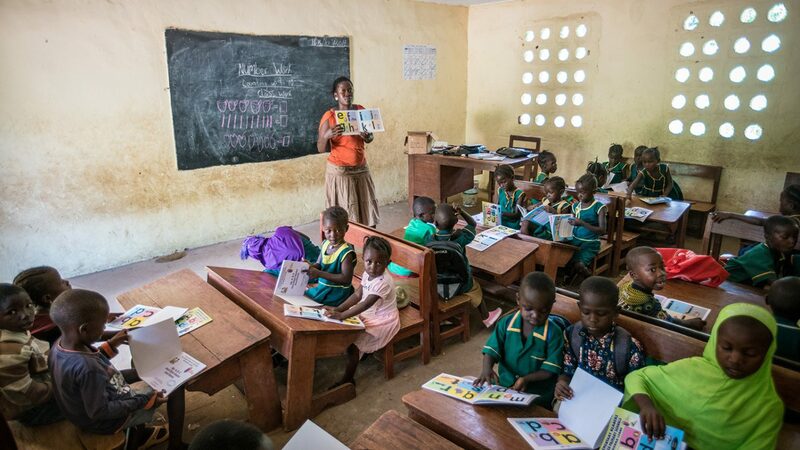 At Gbendembu Primary School in Bombali, teachers are given specialist training to help them teach children with disabilities. I feel a bit taken aback when Marshall, project coordinator for Sightsavers’ inclusive education project in Sierra Leone, tells me that without education people with disabilities will end up begging on the streets. It seems like a big assumption to make, especially from someone who’s so passionate about the potential of people with disabilities. But after seeing for myself that the vast majority of people who are begging in Sierra Leone do have some form of disability I start to understand. When I see a big group of people with disabilities lined up together on the side of the road asking passers-by for money in Freetown, it feels like I’m looking at a community on the outskirts of society, united by their exclusion. Marshall is not being disparaging about the ability of people with disabilities: instead, he’s realistic about the challenges they’re facing. “In our community the perception about disability is that these are people who cannot do anything,” he explains. “Some people refer to them as a curse, as a punishment. They marginalise disabled people: they are not catered for, they are not cared for. Gbendembu is one of 45 schools involved in the project. Even if a child’s parents do send them to school, their chance of getting a quality education is slim. “Most of our teachers lack the techniques to teach disabled children,” Marshall tells me. I’m shocked to discover that there are teachers who share the opinions of the community around them. 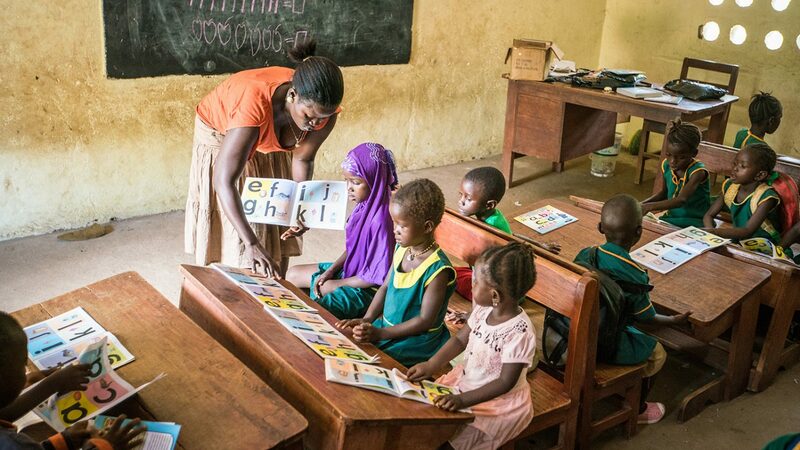 “At first we didn’t consider them as pupils, we took them as people who did nothing in the community,” admits Fatima, a teacher at a rural primary school about 45 minutes outside the city of Makeni. Fatima and her colleague Hassanatu have now had training on how to teach children who have difficulty learning. The training, part of the Education for All project, had to go right back to basics. “We learned to treat the children equally, [that] we should not call them by their problem,” Hassanatu reveals. Teacher and inclusion champion Hassanatu Barrie uses alternative methods to teach children with disabilities. Now, Hassanatu and Fatima have been through a complete transformation, of both their confidence in teaching and their attitudes. 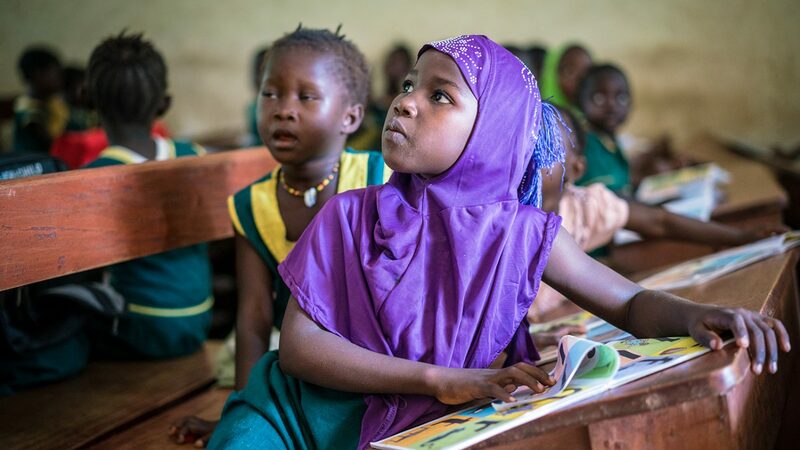 In their classes there are children with a range of disabilities learning alongside their classmates: Aminata, a little girl with a visual impairment; Mohammed, who has a physical disability; and Ali and Hassanatu, who both have hearing impairments. “Mohammed, he can’t get in and out of his seat, if he needs water I ask one of the children to go and fetch some for him,” Hassanatu explains. “Some people do not hear, so you use touch, we communicate with them by making signs. Some people have eye problems, they cannot see the writing well, so you call them to the board and show them,” adds Fatima. Seven-year-old Aminata has visual impairments, and her mother worried she’d never be able to go to school. The teachers have made seemingly simple adjustments to their methods, but it makes a massive difference to the children’s ability to learn. More importantly, the teachers are the reason the children are there in the first place: both women are proud disability champions in the school. And this makes the school a more welcoming place for the children to come to, as Hassanatu explains. “I teach my fellow teachers how to handle these children in school, and we tell the other children not to provoke them, to always assist them, to include them in their own play. “At first they were never considered. If they came to join in, other students drove them away, but now they encourage them to join in.” And all this has been achieved after just five days’ training. Hassanatu Sesay, who has a hearing impairment, is in class one at Gbendemb. All images © Sightsavers/Michael Duff. I have mixed feelings after talking to Marshall and the two teachers. This project is clearly having a huge effect on the lives of the children it’s supporting, and on the communities surrounding the schools. But it’s a pilot in 45 schools and there are 700 schools in Bombali alone, which is one of 14 districts in Sierra Leone. Hopefully funding will be secured to scale it up because Hassanatu and Fatima’s honesty about their former attitudes shows just how much progress still needs to be made. 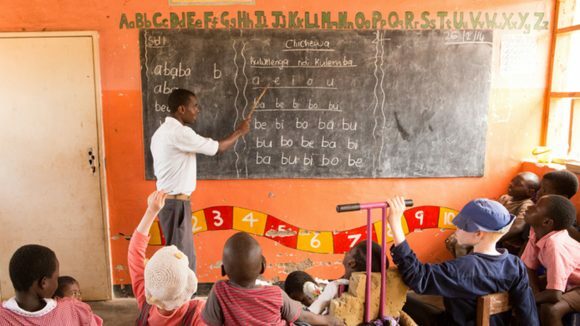 Projects that directly support schools need to be matched by a commitment from government to implement policies that help children with disabilities into school, and encouragement from the global community to do this. 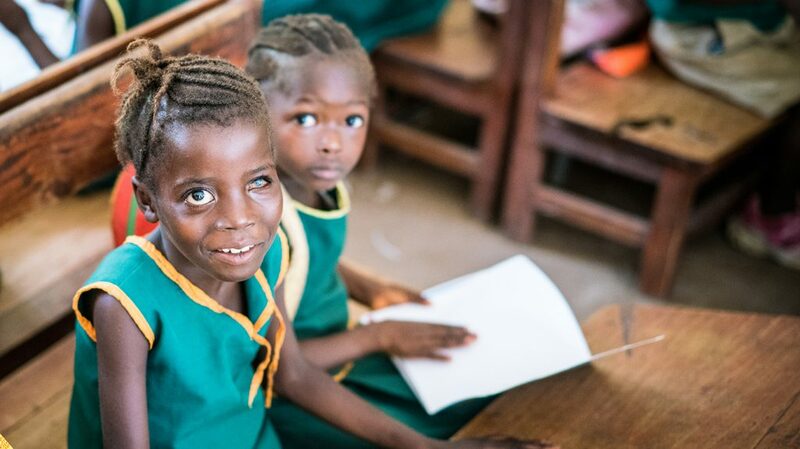 Aminata, who has visual impairments, sits at her school desk alongside a fellow student. Children with disabilities, children in conflict areas and girls are the most likely to miss out on going to school, according to a new campaign. 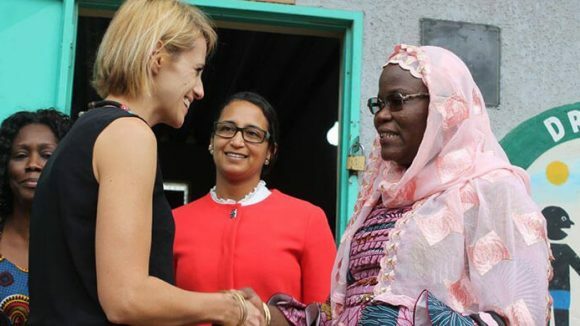 Representatives from the EU, the UK and Netherlands embassies in Senegal visited a school to learn how Sightsavers is working towards inclusive education. 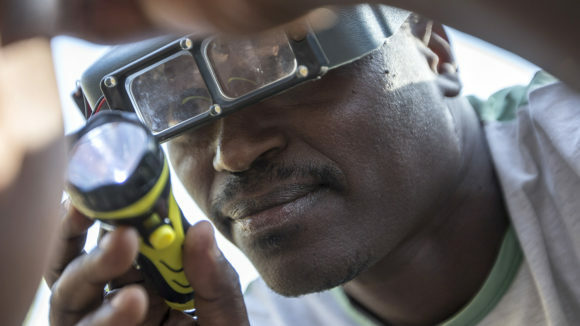 A 2011 Sightsavers policy paper detailing an approach to ensuring that education is inclusive.